Moon travels around the Earth in elliptical orbit and logically there are two points in its path where it is closest and farthest from us. Today it was in "perigee-syzygy" of the Earth-Moon-Sun system or simply called "supermoon". Coincidentally, it happens that today it has the power to fully block the sunlight in northern Europe and made the biggest shadow one can do on Earth. In Serbia it only made partial eclipse covering somewhat less than 50% of the Solar disk. These are 12 photos I took in intervals of approximately 10 minutes from eclipse start at 9:40 until it went away around 11:58. The biggest shade was at 10:48. We were pretty lucky today since the nature gave us clear sky with just one stubborn cloud that covered the Sun-Moon kiss around 11AM. Above image is the composition of those 12 photos which I took through our Sky-Watcher telescope with solar filter. I still don't have proper camera or adapter for taking astronomical photos so I used our dSLR and manually took images. Therefore, photos are not ideal and perfect so I used little photoshopping to make them as clear as possible. More about today's event in our neighborhood I found at timeanddate.com and tons of websites as the media literally went viral this morning. No wonder as the next partial eclipse in Europe will be in 5 years and next total one is not expected before 2026. 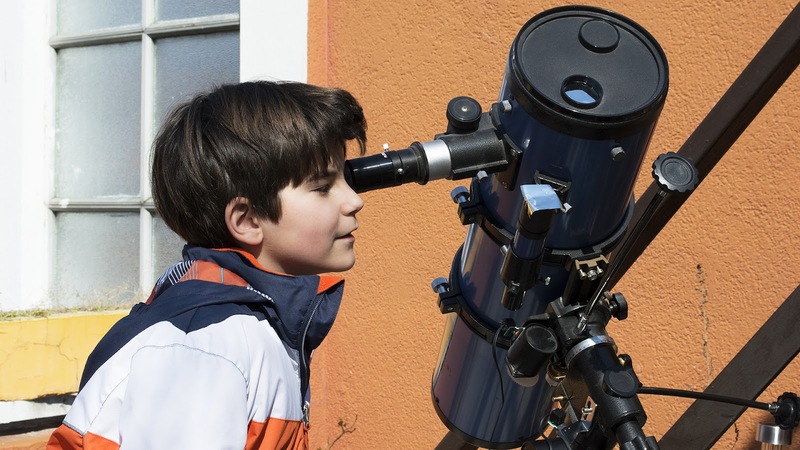 Unfortunately total eclipse in Serbia will not be visible any time soon. It sure is spectacular when our Moon eclipses the Sun but in the celestial sky above there are more events in the same fashion. I mean, situations when three Solar system bodies become aligned, so to speak. In this update of the blog story about classic eclipse, one of those I took with our scope on May 9, 2016. 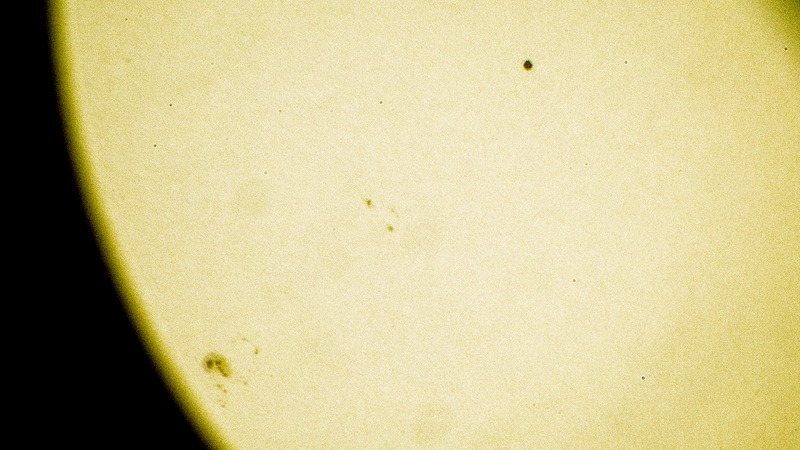 It was transit of Mercury across the Sun and the photo ended very well. I managed to catch one of those giant Sunspots as well.